Mayor Pete Buttigieg officially announced his campaign for the presidency over the weekend, emerging as a surprisingly popular candidate amid a growing crowd of Democratic contenders. 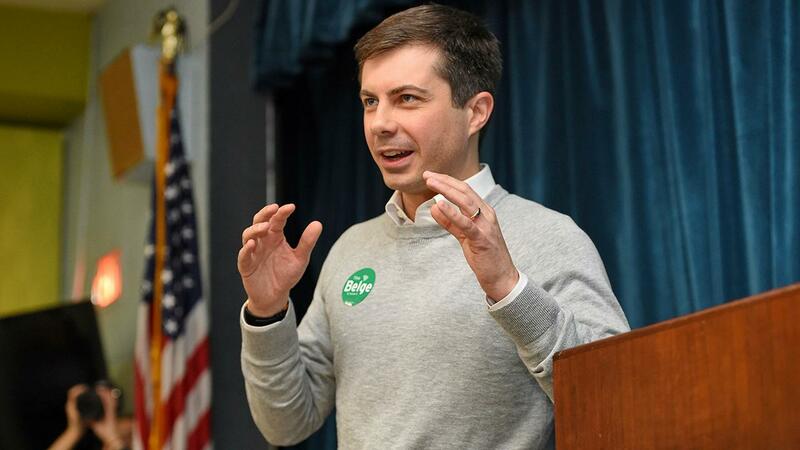 Buttigieg has served as the Mayor of South Bend, Indiana, since his election in 2011 – when he was just 29 years old. He served as a lieutenant in the U.S. Navy Reserve and was deployed during his mayoral tenure to Afghanistan, where he earned a Joint Service Commendation medal. The 38-year old Harvard-university graduate was relatively unknown on the national political stage until recently. He raised $7 million in the first quarter of 2019 – before his official candidacy was even declared. That’s more than what has been reported by some established candidates, including Massachusetts Sen. Elizabeth Warren and New Jersey Sen. Cory Booker. The average contribution was $36.35. Contributions were made by more than 76,000 individuals, exceeding the threshold to qualify for the first Democratic debate this summer. Mayor Pete has suggested that he would support raising taxes on wealthy Americans through a variety of policies. “Some people frankly are getting a bit of a free ride on the productive energy of this country and this economy,” Buttigieg said. He said he would consider raising the marginal tax rate for high-earners. Additionally, he said a wealth tax makes sense, as does potentially expanding the estate tax for the biggest and wealthiest estates. Buttigieg has also joined a growing chorus of Democratic lawmakers, including Warren and New York Rep. Alexandria Ocasio-Cortez, who have called for streamlining the tax filing process. In a tweet fired off earlier this month, he questioned why lawmakers would prevent the IRS from creating its own filing software, a stipulation included in a bipartisan reform bill advancing through Congress. In South Bend, under his tenure, more than 10,000 jobs have been added, as reported by The Wall Street Journal, while the unemployment rate has fallen to 4.4 percent, from 11.8 percent. Like many other contenders in the Democratic Party, Buttigieg supports shifting toward a single-payer health care system. The young politician does not believe that necessarily means the private health insurance industry must be eliminated. “We can start with Medicare-for-all who want it by making some version of Medicare available on the exchanges for people to opt into, as part of the pathway to Medicare-for-all so that you can try before you buy, so to speak, as a country,” Buttigieg told Stephanopoulos.